Can Dogs Eat Cheerios? Which flavors are okay and which to avoid! Finding treats that your dog likes probably isn’t too difficult if your dog is as food motivated as most. 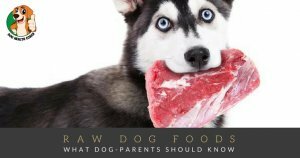 The trickier part is finding treats that dogs like and can eat without gaining weight or having digestive problems. For some dog owners finances can be an issue as well, since many treats on the market are great for dogs, but expensive or sold only in small quantities. People who have large breeds may face this on a regular basis. One low-cost treat that is popular in dog-treat recipes or as a stand-alone offering is basic cold breakfast cereal. Cheerios are often in the list, but are cheerios good for dogs? Not easy to answer as nowadays cheerios come in a wide variety of flavors with new ones being added all the time. Plain original cheerios are currently made up of non-GMO whole grain oats, corn starch, pure cane sugar and salt. If your dog doesn’t have grain allergies at all, plain cheerios should be fine up to about a third of a cup a day. Not more because in general dogs and sugar or salt don’t go together very well. Can dogs eat multigrain cheerios? Multigrain cheerios have additional ingredients including whole grain corn, corn bran, rice, sorghum, millet, brown sugar syrup and coloring. In general those should be fine for most dogs, but if your dog has a specific allergy, you may need to exclude some types of cheerios. Make a habit of checking ingredients very carefully before giving anything to your dog! Choices such as chocolate flavored cheerios, are a total no go for dogs! The chocolate flavor doesn’t have enough cocoa in it to be of high risk to some dogs, but any cereal that has any amount of chocolate, coffee or caffeine should be ruled out for all dogs and could propose significant risk to a smaller animal. These all contain substances called methylxanthines. When ingested by pets, methylxanthines can cause vomiting and diarrhea, panting, excessive thirst and urination, hyperactivity, abnormal heart rhythm, tremors, seizures and even death. Honey Nut cheerios are another interesting option. 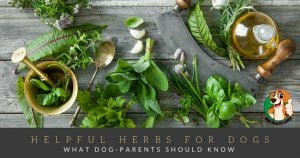 The AKC recommends honey for dogs and it’s even possible that honey can have extra benefits for dog’s immunities and healthy weight maintenance in dogs that easily become underweight. If your dog has a weight problem, though, the honey nut cereal contains significantly more sugar than the plain flavor making the risks outweigh the benefits. Furthermore sugar and dogs don’t go together very well and can lead to obesity, diabetes and dental issues, at least in the long run. How about generic cheerios and dogs? 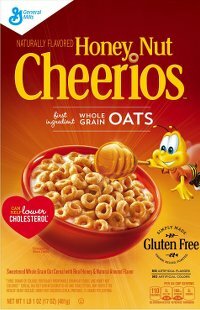 Besides General Mills cheerios there are plenty of generic oat-based cereals that mimic cheerios and other cereal types. The most critical is simply to read the ingredients carefully, whether using a generic or just buy another brand of plain grain breakfast cereal such as chex-types or cornflakes. If the ingredients include simple grains with some sugar and your pet isn’t allergic to the grains, the cereal may be fine. Take special care to avoid cereals that use artificial sweeteners like xylitol! When you get out the cheerios for your breakfast, you probably enjoy yours with milk and some people get in the habit of giving their dog the leftovers. When it comes to giving a dog cereal with or without milk, it’s best to have your canine breakfast buddy stick to plain cereal. While some dogs will do all right with a little milk, in general there is more chance of digestive disturbance. Dogs don’t digest dairy well, so it’s recommended to avoid substances with lactose. How about your dog’s experiences with cheerios or other cereals? Let us know what you think in the comments!